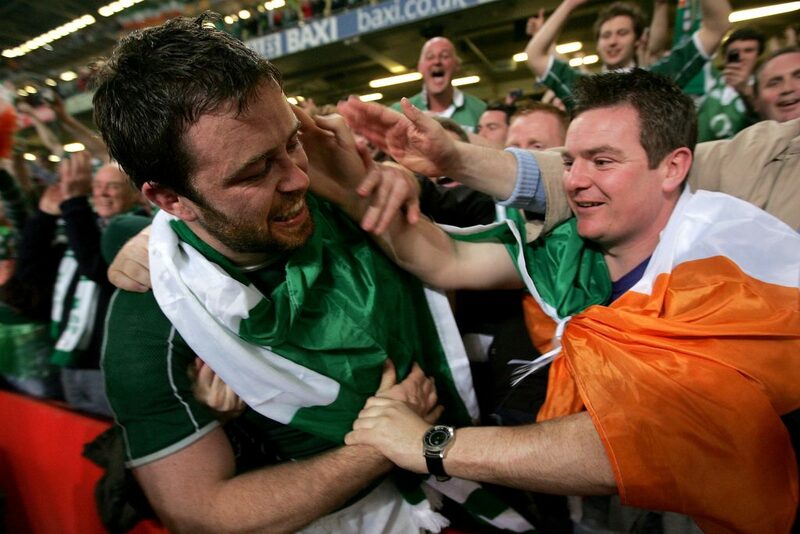 Just over ten years ago, Marcus Horan was part of the first Irish side to secure a Grand Slam in 61 years. Now, as a Player Development Manager for Munster Rugby, he continues to help the Irish rugby cause. The Five Nations is now a distant memory. A generation ago it was as much a part of a springtime Saturday as Know Your Sport and reruns of Riverdance at the Eurovision. The coming of professionalism, sophistication and the Italians did away with it, to be replaced by the modern rugby juggernaut that is the Six Nations. In bygone days, the tournament was contested by farmers, businessmen and students over four weekends. It came and went like the wind which was often a blessing for Irish fans in the early 90s, for whom with every passing defeat it seemed that turning out for Ireland was not as far-fetched as once believed. Nevertheless, the mystique of the ‘World’s Greatest Championship’ meant that even youngsters who hurled in Clonlara grew up dreaming of running out at the world’s oldest rugby ground. That we did, and more besides. Despite several Triple Crowns, it had been years since Ireland had won a championship at all, while a number of our finest and most charismatic players had plenty of years on the clock. There was a grim urgency to Slam situation. When we finally reached the promised land, it was like a glorious release as wild excitement rippled throughout the country. “It was a fantastic time,” admits Horan. “The best moments in a rugby career come in the moments after you’ve returned to the dressing room after a defining victory. There’s nobody there other than the group you’ve soldiered with all season. Once you leave, everyone gets split up and it goes bananas! For Horan and several of his teammates, 2009 was the zenith of their careers. Just five months later his quality of life was at stake as a result of the pursuit of the game he loved. An irregular heartbeat was detected, and he was forced into a patient recovery. Cian Healy took advantage of the circumstances. Rugby was important to Horan, but the incident made it clear that there was a limit to that consideration. “When I was unwell, I realised that there comes a time when your priority is your health and your family and to have a quality of life. I didn’t want to put that in jeopardy. Thankfully I got back to playing, but at that time whether or not rugby was going to be part of my future didn’t matter. It was definitely a wake-up call. “When I started in ’99, the Munster story was just beginning to take off. I was blessed and very grateful to have been involved in some incredible teams with Munster and Ireland and even before all that I was winning All-Ireland leagues with Shannon. Since the very start of his career, Horan has always had an involvement with Rugby Players Ireland (formerly IRUPA). 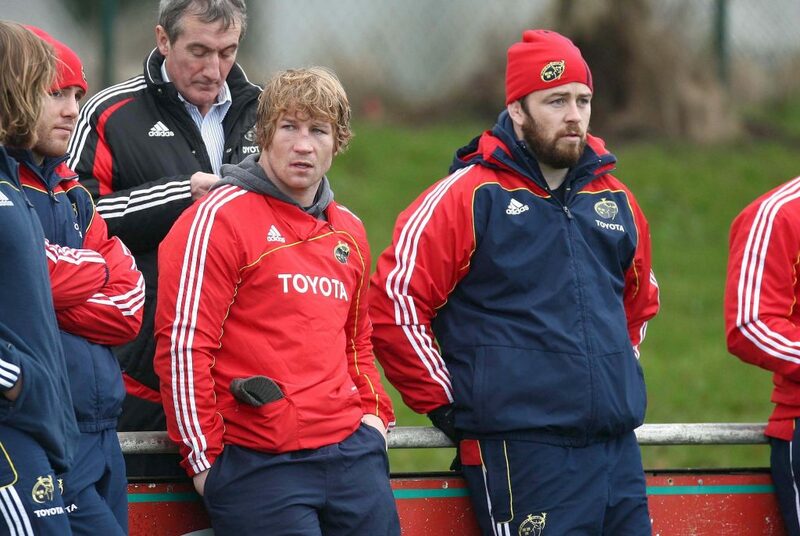 Barely a year into his senior career, Horan volunteered to become Munster’s player representative for the association. Only in its infancy, some of the players were wary of what the association’s agenda was and feared it might affect selection, therefore opting not to stick their necks out. As a prop Horan did that for a living. He also wanted to look out for others because from the start of his career there were always wily characters who looked out for him. “If ever there was a fight, I was hauled out right away and someone would stand in front of me. 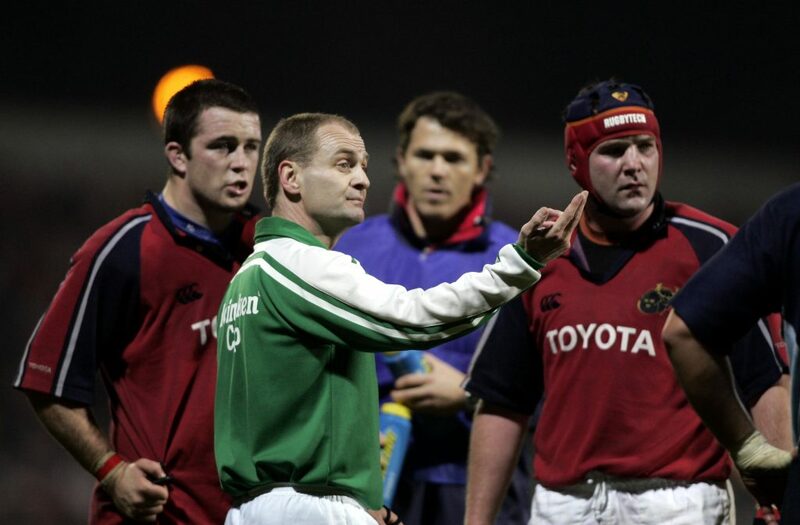 Either Gaillimh [Mick Galwey], Claw [Peter Clohessy], Anthony Foley, [Eddie] Halvey, John [Hayes], Quinny [Alan Quinlan]. On my first trip to Dublin and we had to get taxis to the train station, I didn’t have to put my hand in my pocket. Just small things like that, I was always taken care of. “As the game has grown, the demands on the players have increased. I can’t help them on the field anymore, so I like to think that my current position allows me to help in other ways. “The hype that surrounds the game today is unbelievable. There was obviously plenty of hype leading up to Cardiff in ’09, but with social media the way it is, lads are so identifiable now. I might have been able to walk down the street ten years ago and not be noticed, but now everyone knows the players’ movements and what tweets about what they’re doing. It must be tough to maintain focus on a big match week with so much noise. Horan has been practicing what he preaches in recent weeks. He was to the fore of the action as the Irish Rugby Legends took on England in February for rugby related charities. 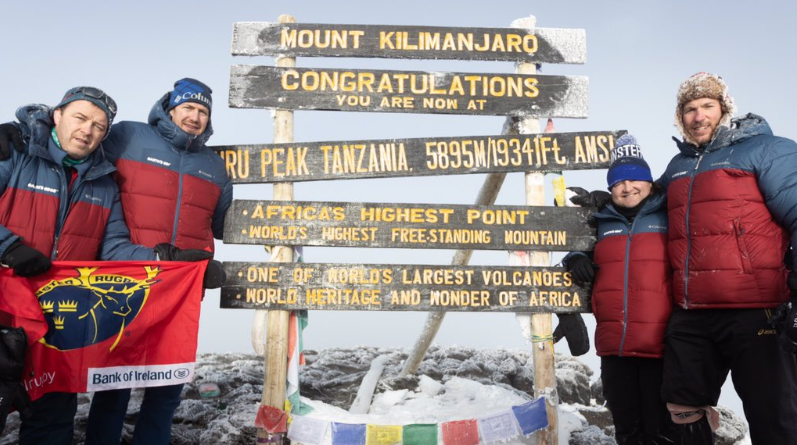 It was also clear that his fitness on the night had been boosted by his recent jaunt up Mount Killimanjaro alongside Shane Byrne, Stephen Ferris and Mike McCarthy to raise funds for the IRFU Charitable Trust. Byrne felt it was the toughest thing he had ever done, Horan felt his pain. “I had to share a tent with Munch [Byrne]… I think people would have donated to the cause for that alone! But in all seriousness, I don’t think I was quite prepared for how hard it was going to be. I’d seen loads of pictures of people at the top and figured that if they could do it, then so could I. It was hard at times and we struggled, but there was a real sense of achievement when we made it to the top. “It’s over now, so onto the next thing,” Horan says. “In a way, it’s a bit like your rugby career. When someone is released from a squad and pre-season starts without them, the What’s App notification comes in to say that ‘such and such’ has left the group. It’s a reality these days! Ok, the guy might be living next door to you but he’s on the outside now and it is tough.